Best known by the founder Sir Richard Branson, Virgin Airways was the first of many airlines the Branson's Virgin Group would become involved with. 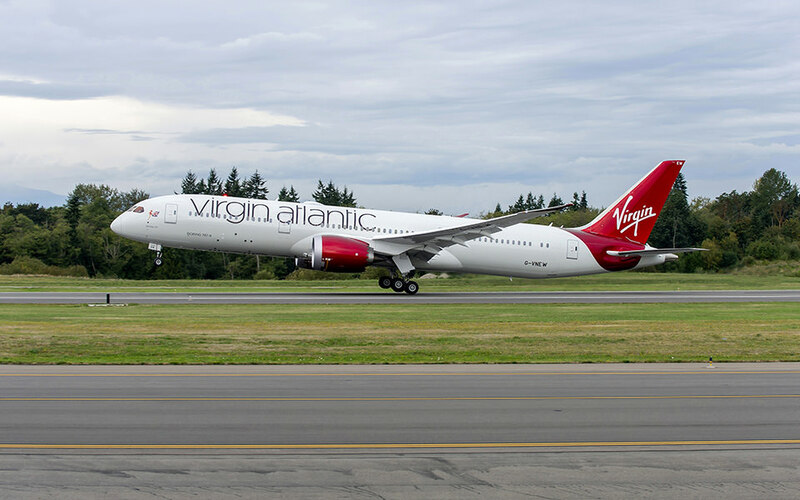 Virgin Atlantic has always been a long haul carrier and remains a popular way to travel to Europe from numerous US cities. They fly Airbus A330 and A340 along with Boeing 747 and 787 aircraft that are all given an interesting feminine name, such as Golden Girl or Dream Jeanie. You will step on board to find a sit down bar, another trademark going back to inception. Virgin Airways has always meant for travel to be fun. Their next idea for travel fun, hot tubs. Read on. 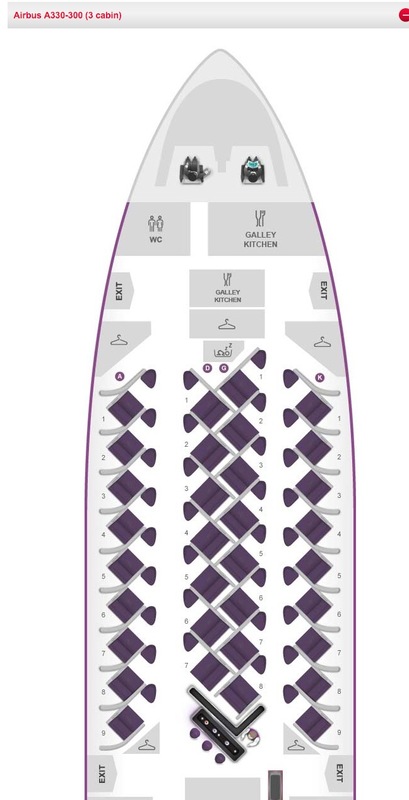 Upper Class is where Virgin Atlantic introduced the herringbone seat layout that have become so popular. Today the seat used are similar to the original. Recently an updated version called the "Dream Suite" was abruptly cancelled in favor of the existing lie flat seat. This seat claims to be 22 inches wide and is 78 inches long when turned into a bed. The seat flips over to become a bed which is typically handled by a flight attendant. In bed mode the width becomes 33 inches. A rather small 10.4 inch monitor provides your IFE. 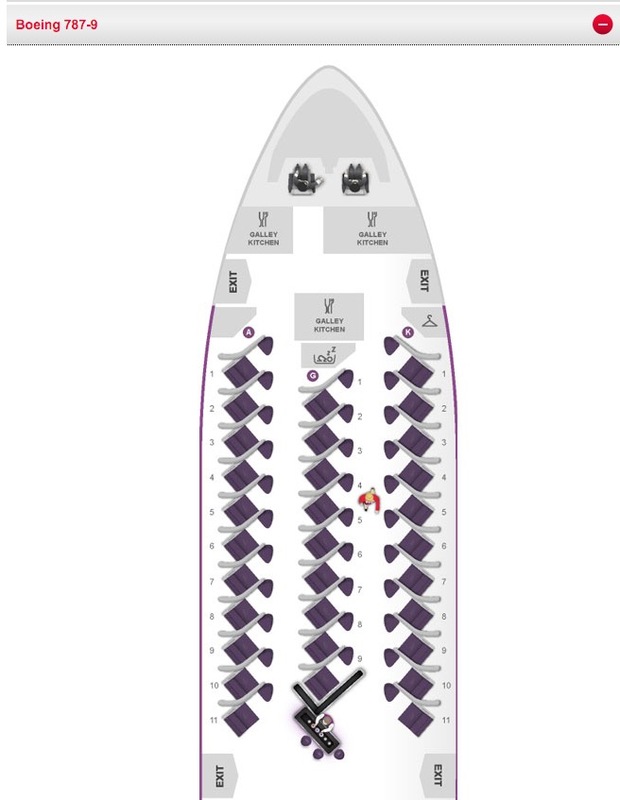 All seats point out to the aisle. I guess if you're unable to sleep, instead of counting sheep, you can walk the aisles and count toes. 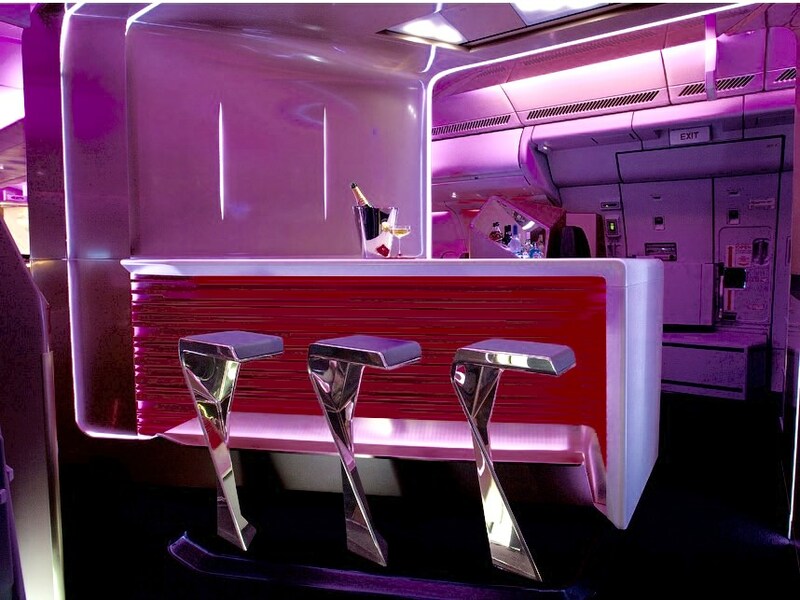 Or if unable to sleep you can always nestled up to the on board bar. 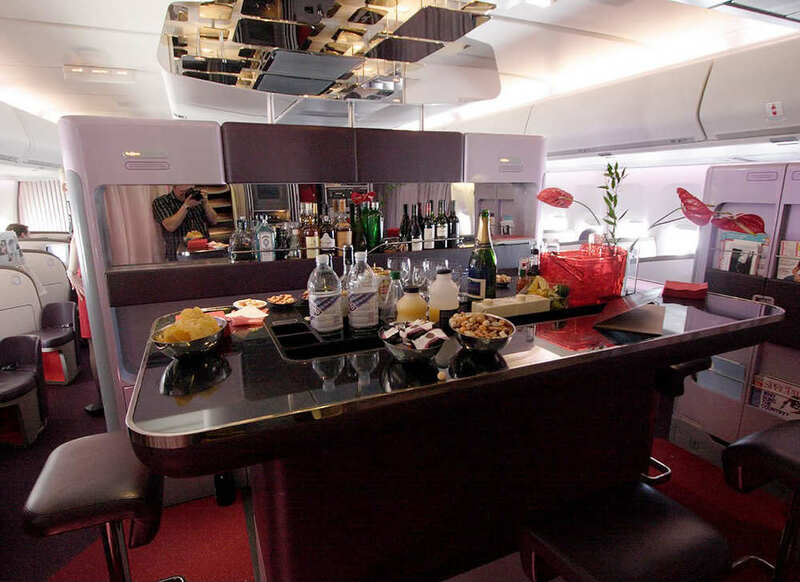 All Virgin Atlantic aircraft have a bar in Upper Class. 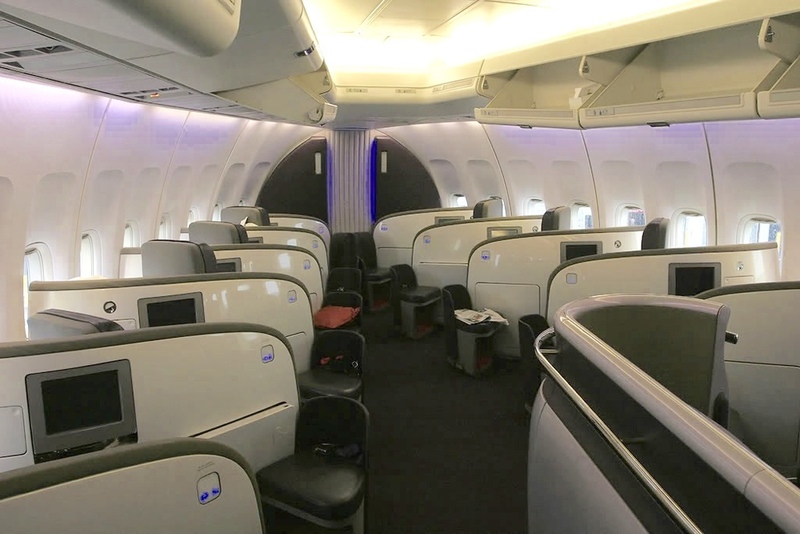 The bars in the A330 and B787 seat three while the A340 and 747 seat four. While doing the research on Virgin Atlantic I found an article that claims their next innovative idea is to install hot tubs in Upper Class. And the article was not written on April 1st. Seat maps for the 4 aircraft types A330, A340, B787 and B747 lower deck. Have you flown Virgin Atlantic? Share your experience with others in the comments section.